I would like to say what a wonderful patient knowledgeable full of wisdom person Ellen is. I came to Ellen with some skepticism, but I was in so much pain. I had exhausted all other options. I contacted healpastlives.com and received an immediate response. I then booked a distance phone session but did not know what to expect. On the day and during the hour I spoke with Ellen, not much seemed to happen. Yet afterwards my whole world went into revolution. 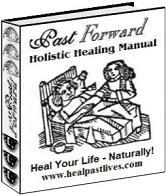 (Past life) releasing is not too pleasant; however the after affects (of the healing) are most definitely worth it. My wife has noticed the changes more than me; she really thinks she has a new man. She feels I am more at peace with the world around me, not so highly strung or panicky about things (as before). Certain old patterns of thought and reoccurring situations have come to a halt. I am no longer caught up in the drama of such things. I could write a 100,000 words about Ellen's work, yet, in brief, I will say the universe does not fail to amaze. Ellen has a skill that is not yet common in main-stream healing. Her skills must not be under-estimated. My disbelieving wife is so impressed with my results, she wants to do the same. I rest my case by saying that Ellen's work is not just one module of healing, it is a very important aspect to bring a human in balance with what they desire themselves to be, and that must not be overlooked. Until I met Ellen I was really struggling with my healing and I was getting messages that my problem was past lives but nothing seemed to clear. I cannot thank Ellen enough for all the work she has done for me. I have a much clearer view of my life. The karma clearings [Rapid Karma Releases] were WELL worth it. The cleansing of my chakras [Remote Releasements] have made a huge difference in my life. My mystical perceptions are much better now. Well worth the money and effort to do them. If I could give advice to anyone choosing the spiritual path, it would be... Focus on your intentions! Make them clear and MEAN it! The results you get are directly linked to YOUR efforts in the work. Thank you Ellen so very much! Ellen, I am so sincerely grateful for the insights you have afforded me and for the wonderful suggestions you have given me to realize my personal goals. I am impressed by your thoroughness, consideration and honesty in my Past Life Profile. What you have given me is greater assurance that in believing, I can achieve, regardless of what my past may have held (although I will not discount the value in healing past hurts). I feel great, though, about the tools you have given me to continue down my path of growth. Thanks again, ever so much, for your aid! This is a great site. Ellen is really great. She takes time to answer all your questions. I have had great readings from Ellen. I have learned a lot about past lives and how they affect people today. I did the Past Life Profile, and I like to get just general readings from time to time. Your prices are really great, you are not like alot of others who charge so much money that you cant afford. You really care about your clients. Thank you Ellen for being here to help so many people. Love & Peace! Wow, wow, wow... and thank you for your healing energy! When I got your Email Reading, I know it created a shift in me. I have to say that I have felt full for the first time in my life... You are a rare, rare, rare blessing! Thank you so much! Ellen, I am intrigued by your reading, I am very interested in the role of karma. I believe whole heartedly in trying to live a good karma life. I am currently going through the list of exercises you sent which are very good trying get some much needed clarity. Thanks for your time. Dear Ellen: Thank you for your information. I started the abundance exercise, did it for three days and after being unemployed for 6 weeks, landed a new job. I am extremely excited by these events. Whatever mysteries worked, they did a great job. I believe there are no coincidences, sooo, on with life and completion of my 60 days [the recommended practice]. Peace and success in all your endeavors. Thanks Ellen, I did all the exercises briefly from the sight to the breathing to the the abundance ...they are WONDERFULLY ON THE NOSE! Thank you over and over again... your energy & good intention is uplifting and a perfect antidote to these times! To Ellen: Thank you for your time and work on this amazing website! As a strong seeker of truth from China who is passionate about searching for information that can free everyone, it is good news for me to be ATTRACTED to your website! I will come back here to seek again and again! You helped me understand myself and the universe more clearly! Thank you for so much information about life! For those who are still searching for the truth, it is VERY HELPFUL! Thanks again for Ms. Ellen's insight, wisdom, generosity, and compassion! Thank you for being	my spiritual guide, for free, on the path! I AM in ALL WAYS inspired with your messages of truth. Indeed, the awareness of remembering the LOVE that we are is all that is needed to BE love. I personally have found so much	joy, peace and harmony with my own understanding that LOVE is a state of BEing. I no longer search outside myself for any one thing I thought would fill the empty void I held for so long. Every second, every moment and every breath of my life is now nurtured by my attitude. And my attitude is GRATITUDE!!!!! May I extend my heartfelt gratitude for BEing who you are and all you do for all there is!!! With Much Big LOVE! Dear Ellen, Thanks for your wonderful efforts to send such inspiring and thought provoking "Karmic Insights" ezines on a day to day basis. May GOD give you the necessary strength and wisdom to continue doing such good work. May you bring out many more inspiring and educative news letters in the future. With love and regards. I've been on your ezine list for years. And I always feel like I learn some thing new from you. I forward your ezines all of the time, too. Thank you for the work you do, Ellen. Lots of Love! I am so grateful to have been referred to your site... WOW!!!! I am blown away!!! I have been given the missing key! Thank you so much! Namaste! I've been exploring this site for over a year now. The exercises have been a great benefit to my life. Thanks for this site. Interesting and mind blowing topics on this site! I love your site, I usually hate reading but you got me reading! Thank you so much!